Although Mike “Uncle Elvis” Hind has only been playing ukulele for a few short years, he’s developed a sterling reputation as an engaging, entertaining performer. 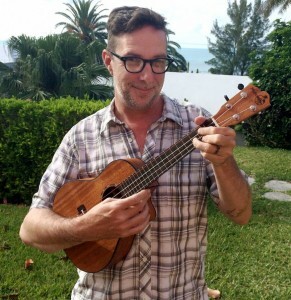 Now, the Bermuda-based musician is adding ukulele designer to his resume. Moku Ukuleles has announced the Mike Hind Signature Series, to be unveiled at the upcoming 2015 NAMM show.